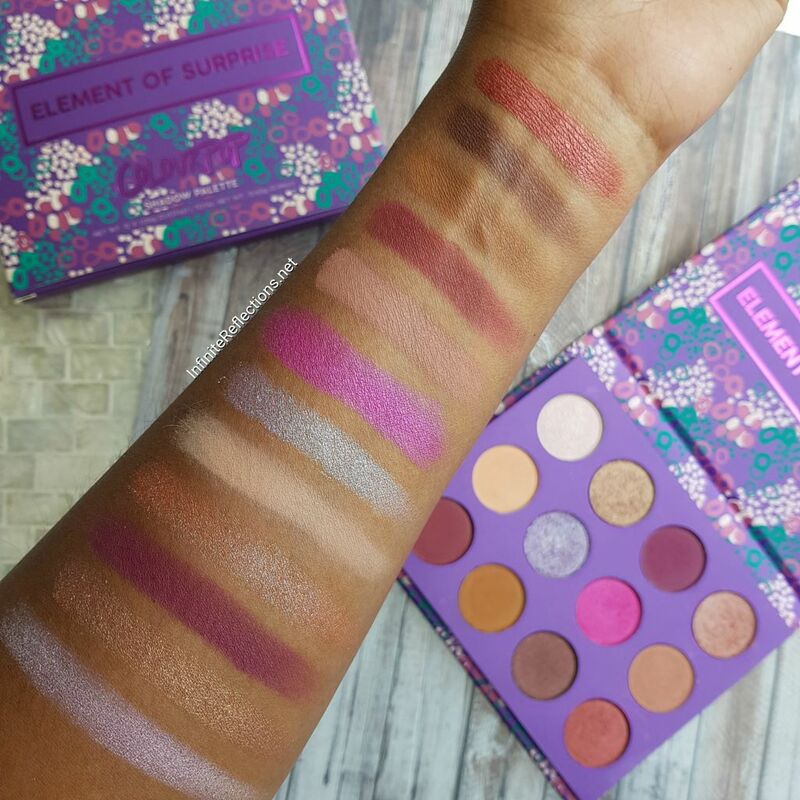 I have reviewed many Colourpop palettes on the blog till now, so I won’t be going into too much details. 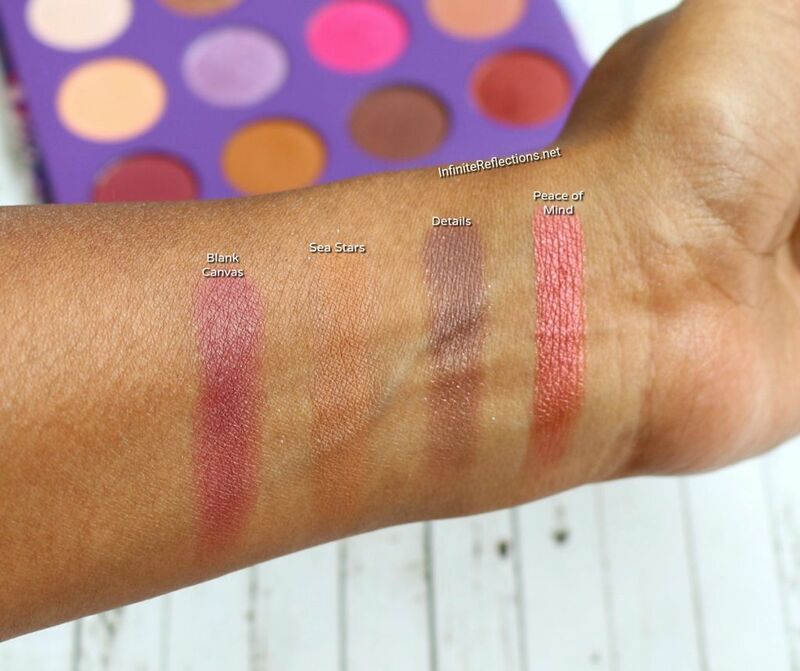 This post is mainly about the swatches and to point out if there is anything specific to note on this palette. Where did I buy this? I usually buy all my Colourpop products from their official website. Most other online re-sellers do hike up the price quite a lot. Once shipped, I receive my package in 2-3 weeks most of the time and I have never paid customs here in Singapore on any of my orders. How much it costs? This palette retails for USD 16 (around SGD 21) which I think is really affordable. How much product in it? 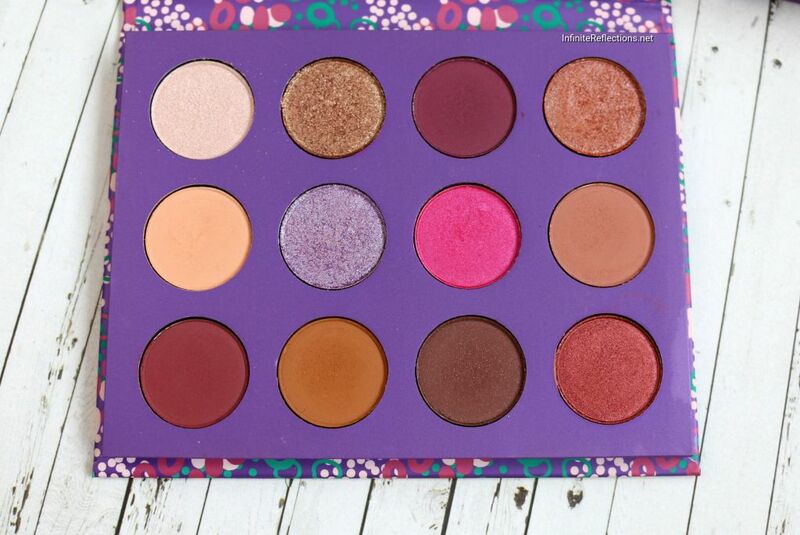 This palette has 12 eye-shadows and each pan is 1.05 gm (0.037 oz), which is a little more than their other 12 pan eyeshadow palettes. What is the finish of the shadows? Its mentioned on their website that this palette is the first one which includes all four finishes – matte, metallic, satin and duochrome. But, I didn’t feel like any of the shadows were satin finish shadows. This is how all the shadows have been described at their website. None of the shadows have been described as satin here as well. 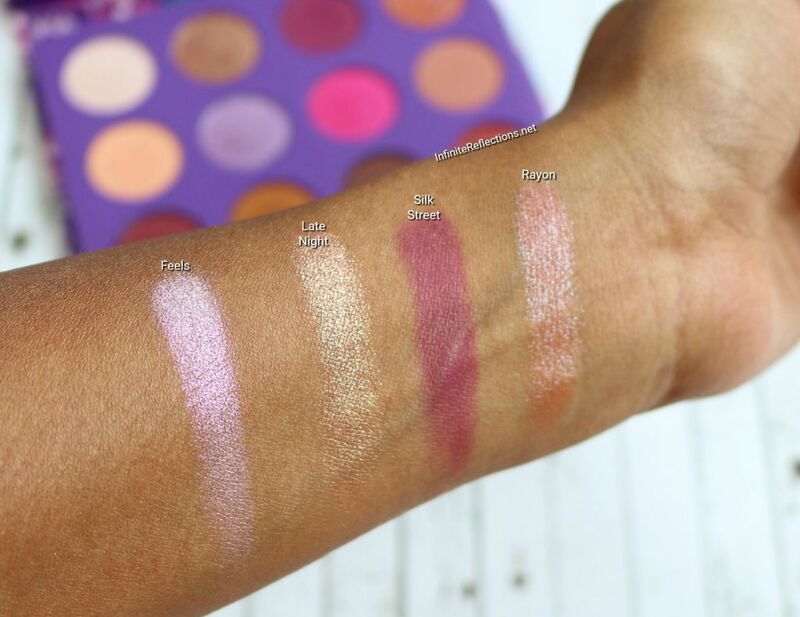 Swatches: Here are the swatches of all the shadows in the palette. There are 6 matte, 3 metallic and 3 duochrome shades. How was my experience? I really love this palette a lot. The colours and tones which are in this palette are tones which I love to wear most of the times. 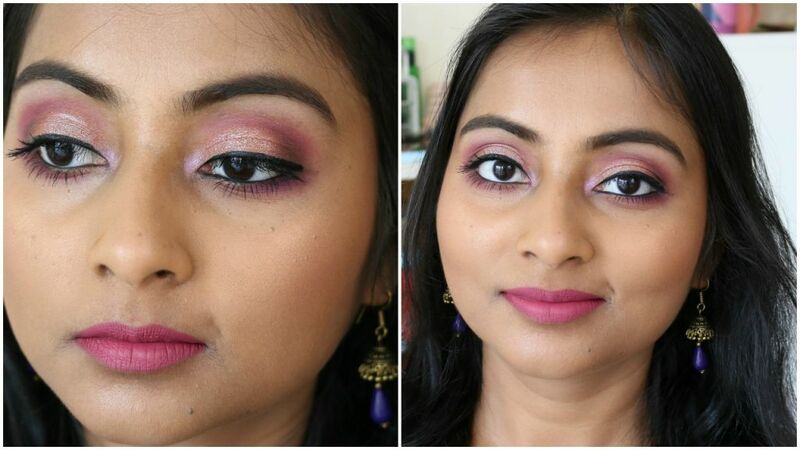 There are very pretty duo-chrome shades in the palette which give a fun twist to the eyelook. 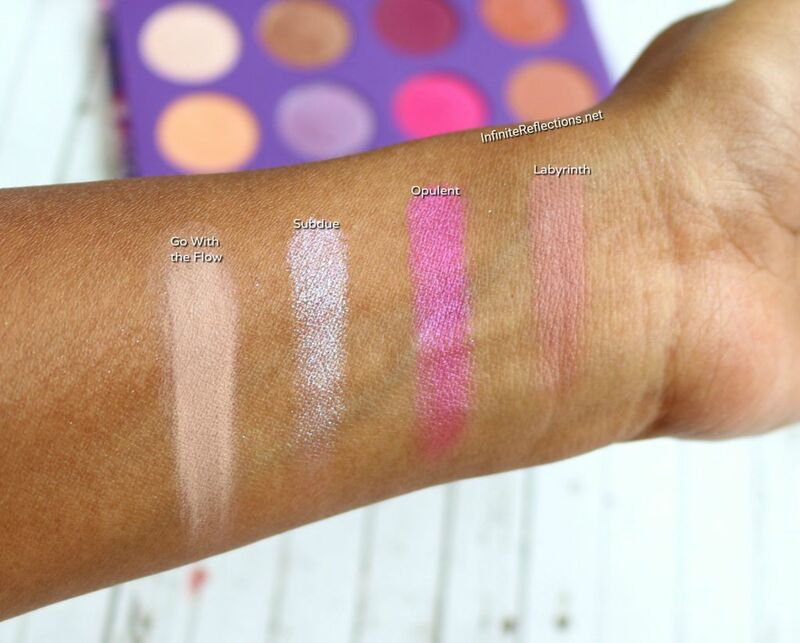 The matte shadows are really nicely pigmented and are easy to build up and blend out. The metallic shadows are also well pigmented and have a good level of intensity. The brush pick up of the metallic and the duochrome shades is not so great, so I usually have to use my fingers or use some kind of setting spray on the brush and then apply. 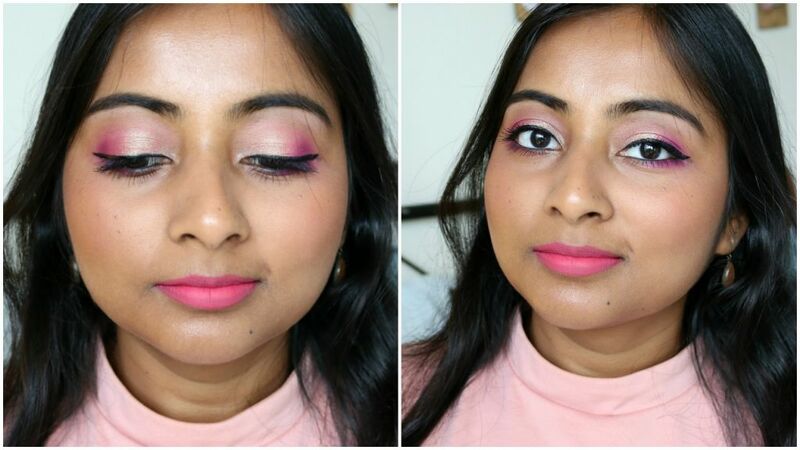 All the duochrome shadows have a noticeable shift in their colours and they look really beautiful and unique on the eyes. But, they are not very easy to work with as their texture is not very smooth. I did notice some glitter fallout with the duochrome shades. But, all that can be avoided, if we use our fingers to apply the duochrome shades or use a setting spray (like Mac Fix+) on the brush before applying the shadows. This gives a more even application for the duochrome shades. I was quite happy with the wear time that I got with the shadows. 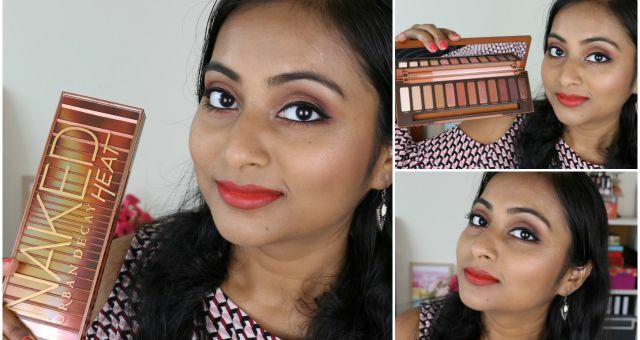 All eye-looks that I have done till now using this palette have lasted on me for 6-7 hours, without much fading. Row 1: One of my favourite rows of colours. The shade “Feels” is described as a pink metallic shade but it looks like a light lavender on my skin tone. 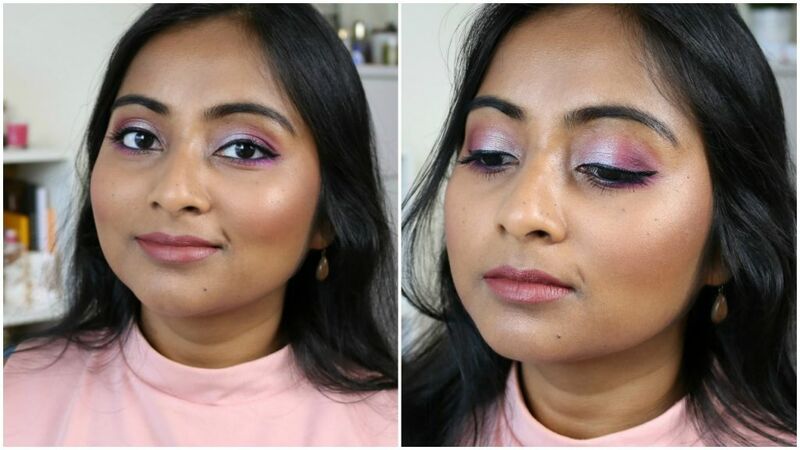 I really love the duochrome shades “Late Night” and “Rayon“. 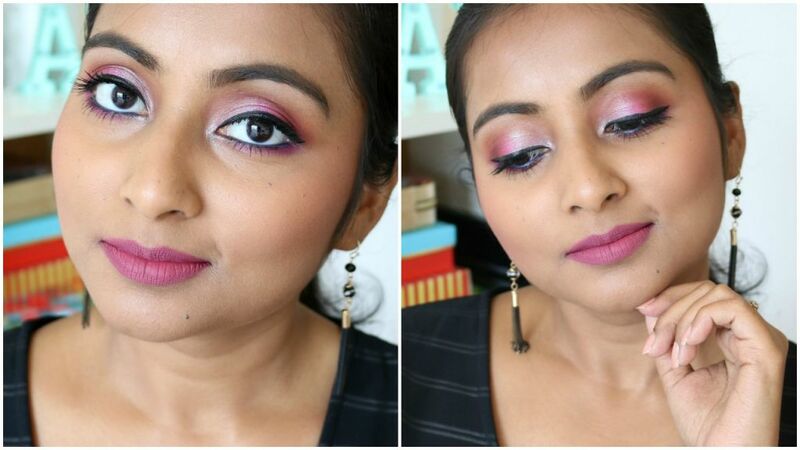 The matte shadow “Silk Street” is impressive. Row 2: This row has good quality mattes, a little bit on the powdery side but works well on the eyes. My favourite shades have to be “Subdue” and “Opulent“. Row 3: “Blank Canvas” and “Peace of Mind” have to be my favourite shades in this row. “Sea Stars” is a nice transition shade on my skin tone. “Details” is a glitter infused shade which looks really nice as an all over lid colour but the glitter doesn’t translate on to the eyes that much with a brush, need to go in with the fingers. 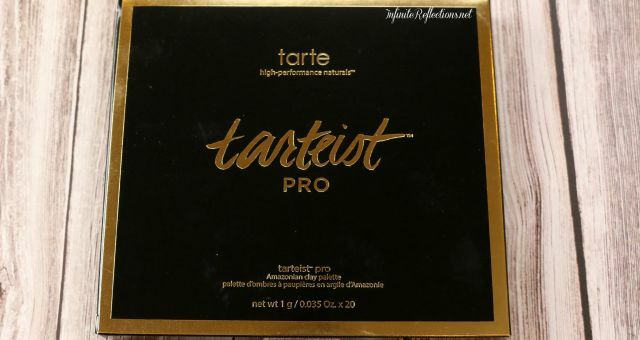 Would I recommend this palette? Yes. 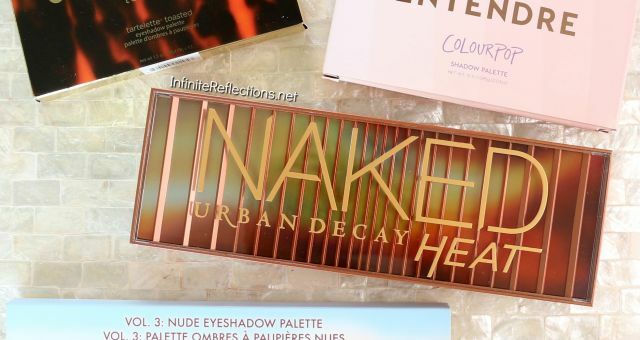 I would recommend this palette to anyone who wants to have some fun with eye shadows and loves pinks, plums and purples. Some of the duochrome shadows could have been better, but with some effort they work pretty well on the eyes. The best part is the price point. It’s very difficult to get such colours at such an affordable price at the drugstore. 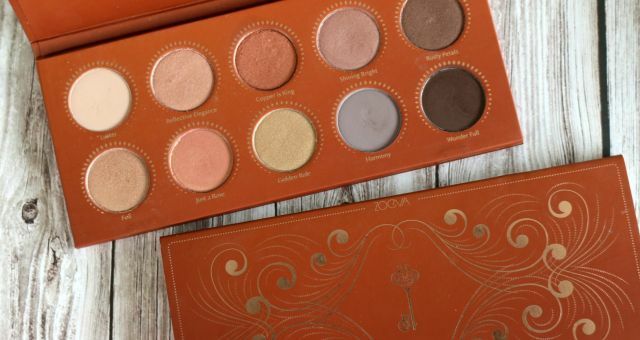 If you are interested in this palette, then it’s definitely worth a try. I hope this post was helpful. That’s all for today. 1st duo-chrome palette from colourpop. And it’s look amazing. 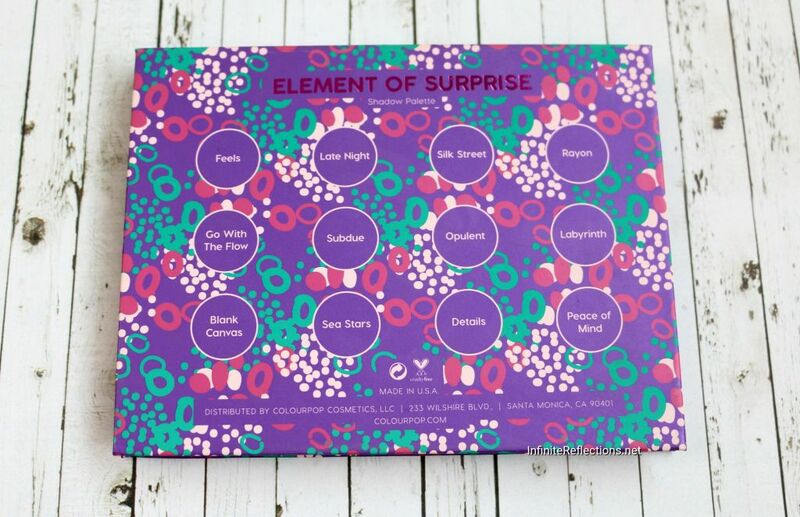 I like all your eye looks from this palette. Pretty palette. 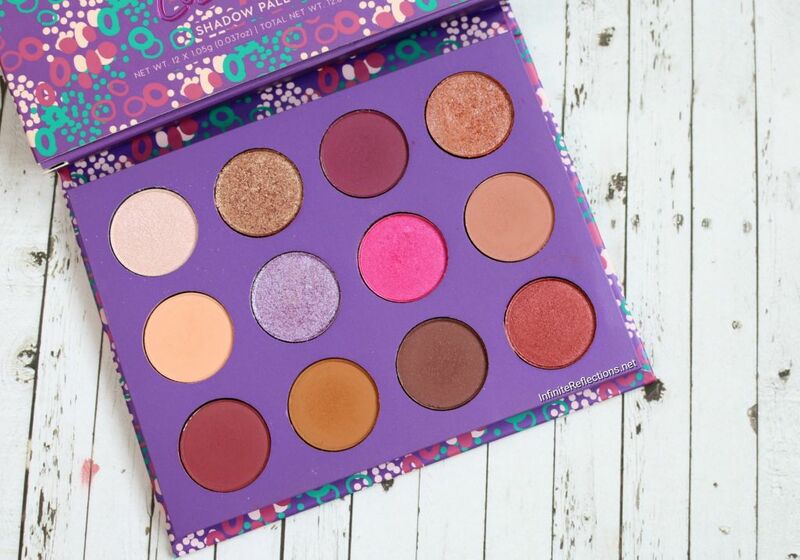 What a beautiful palette! 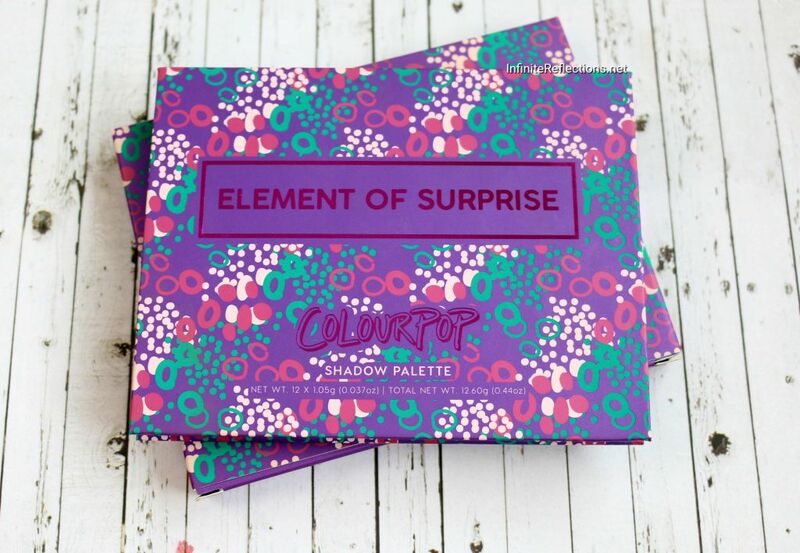 I’m sure I’ll add it to my ColourPop Collection one day, I have four of their palettes and I love them all! Thank you for another great review. I really admire your reviews and how well done they are. I would really like to know how you manage your time, your work-life balance, when do you work and absolutely do not work and all that. I would live to see a video regarding that. I am really struggling with that right now. And since your kids are also little like mine, I think you would be a great example for me to follow. Aww Thanks so much dear 🙂 Well I am also on the same boat and honestly, I am also surprised most of the time that how did I manage to do that.